The DXe Transmitter System with AR610 Receiver from Spektrum combines the versatility of a programmable transmitter with the simplicity of a basic sport radio. 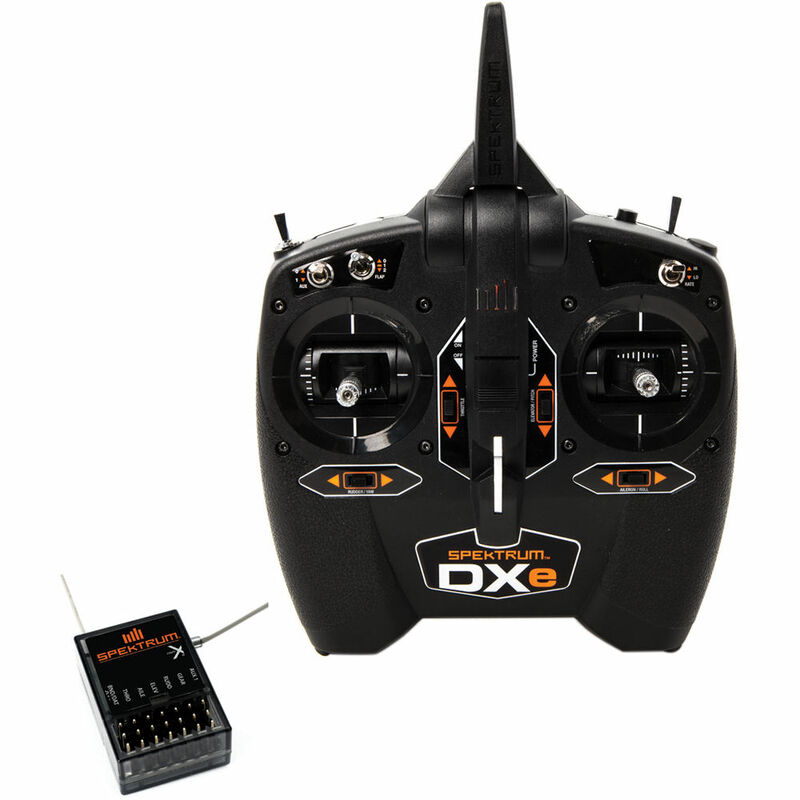 Instead of having to reconfigure a bank of servo-reversing and wing-type switches every time you want to fly a different model, the DXe lets you quickly change those settings using a mobile device or PC. Box Dimensions (LxWxH) 12.5 x 9.2 x 5.8"